EUREKA Project STORAGE—Sustainable TOols for gRoundwater manAGEment optimisation and water scarcity mitigation, whose research serves like the base for our paper, deals with the water supply problems affecting local communities in the area of Thapa hiti and Tagal hiti, Patan, Nepal. The innovation of our research and piloting is in an implementation of managed aquifer recharge not only for a few local users within a square or a school. Instead, we have devised a rainwater infiltration system encompassing the whole local shallow aquifer, without being tied to a particular end-user. For this, strong participative management (i.e. involving local communities and interest groups) is needed, and the close cooperation with local residents is of high importance to initiate integrated water management at least on a local scale of several neighbouring communities. 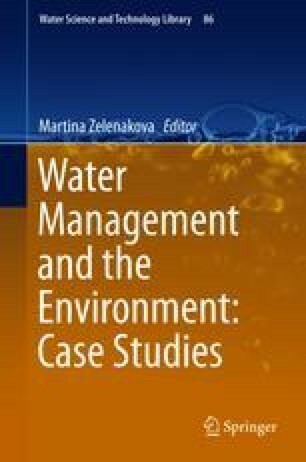 This chapter was written thanks to the project STORAGE (Sustainable TOols for gRoundwater manAGEment optimisation and water scarcity mitigation), financed by the Ministry of Education, Youth and Sports, Czech Republic, and the company VODNÍ ZDROJE, a.s.